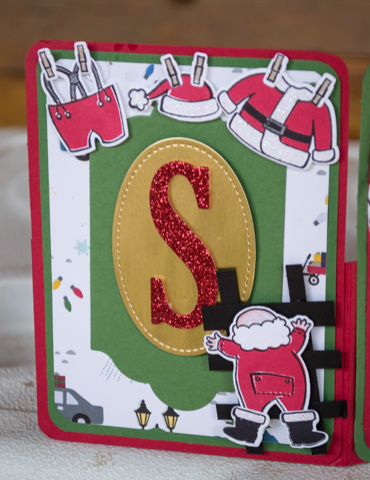 Karina's Kreations: Fun Project for you! The stockings are hung - waiting - on Christmas eve. And no one brings the Christmas magic like Santa. Did you put out cookies for the man in red? Scan the skies and listen for sleigh bells? 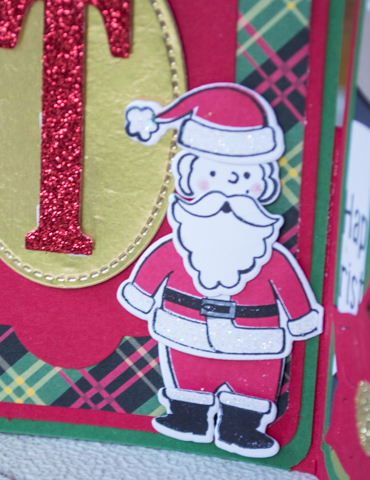 So many magical Christmas memories revolve around Santa, and this makes this Santa banner a perfect holiday decoration. Come Christmas eve, you can use this adorable banner to adorn the spot where Santa's cookies and egg nog await their North Pole visitor. 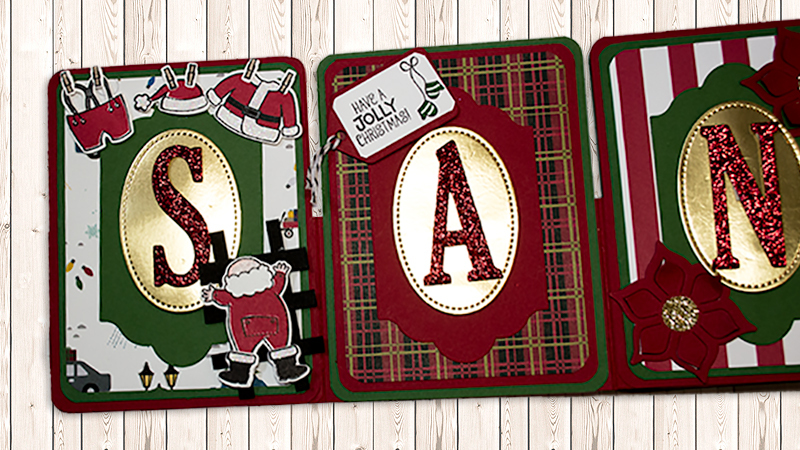 On Christmas morning, this handmade banner will be a reminder of the holiday magic in the days and years to come. As an added bonus, this project can be modified with different colors, stamps, and words to ornament your home all the year through. Feeling inspired and ready to get started? 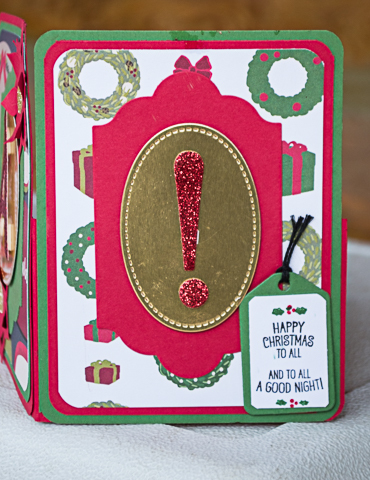 Our stampin' elves make it easy to get right to the fun of crafting! They're working 24/7 to make sure you have exactly what you need for all of your holiday projects. Simply click here to start your order, and it will be delivered right to your doorstep! Have you heard!? 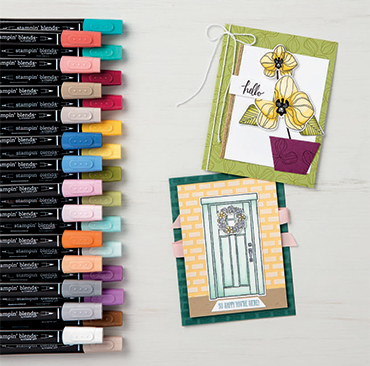 Our new alcohol-based markers, Stampin' Blends, are now available! I love how many different looks we can create. Our premier alcohol markers are artist quality, which allows everyone the opportunity to feel like an artist. Check out all of the available colours at my store.